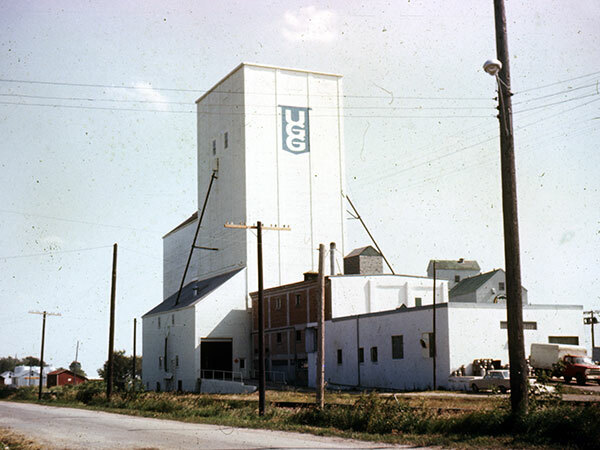 A concrete grain elevator and mill in Gladstone, on the CPR Minnedosa Subdivision in what is now the Municipality of WestLake-Gladstone, was built in 1918 by the Echo Flour Mills Company, replacing a previous grain elevator and mill at the site destroyed by fire in April 1917. The mill portion of the rebuilt facility, on the west end, was destroyed by a fire on 28 November 1919 but the grain elevator on the east end was left intact. 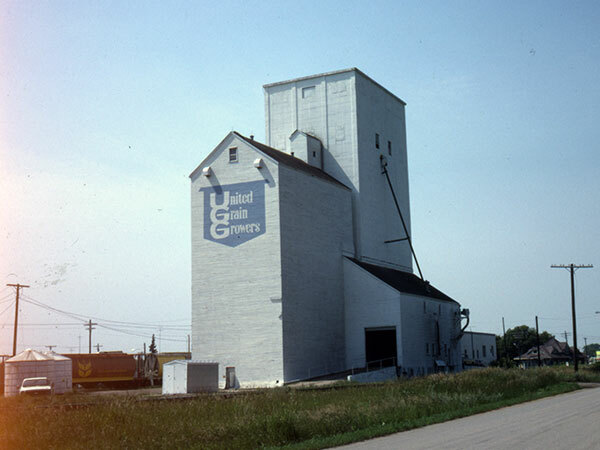 The former mill building was used as a creamery until 1974 while the elevator was leased for grain storage successively by N. M. Paterson & Company (1920-1926), Manitoba Pool Elevators (1926-1932), and United Grain Growers (1932-1940). 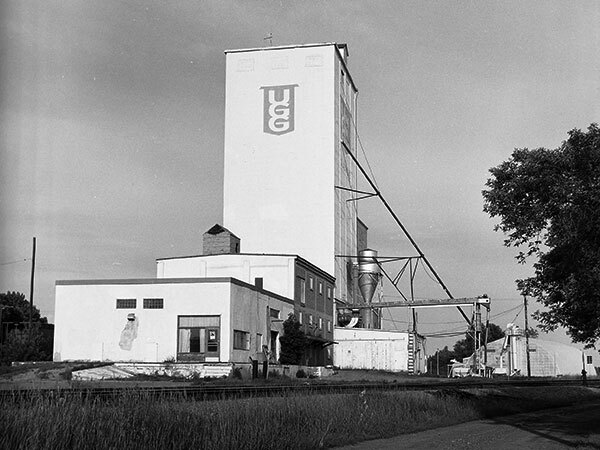 In July 1940, UGG purchased the elevator building from Echo Flour Mills. The facility closed in May 1997 and, in October 1999, the driveways and sheds were removed. 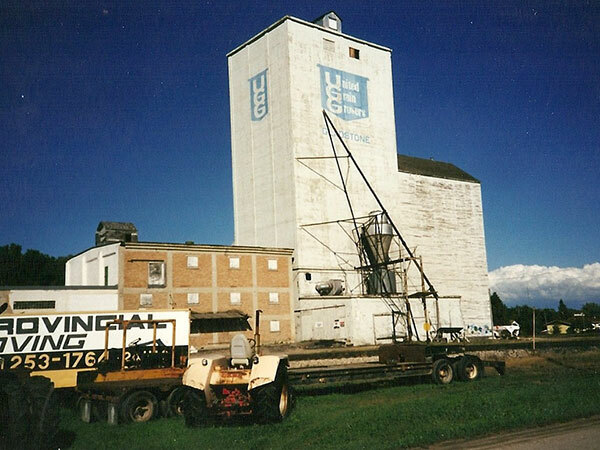 The elevator was removed later, becoming the first concrete country elevator in Manitoba to be demolished. “Fire destroys mill and grain elevator,” Winnipeg Tribune, 2 April 1917, page 3. “Broken board causes death of Goodman,” Winnipeg Tribune, 23 April 1918, page 7. “Defective plank caused death,” Manitoba Free Press, 23 April 1918, page 3. “Echo Flour Mills gutted by fire,” Gladstone Age, 4 December 1919, page 1. “Farmers attention,” Gladstone Age, 19 August 1920, page 2. “The most for your grain,” Gladstone Age, 9 August 1923, page 1. “Please be advised that the N. M. Paterson & Co. Ltd.,” Gladstone Age, 12 August 1926, page 4. “Gladstone Cooperative Elevator Association Limited Pool Elevator,” Gladstone Age, 26 August 1926, page 2. “Good service counts,” Gladstone Age Press, 17 September 1936, page 1. Obituary [Gordon Lee], Gladstone Age Press, 28 May 1942, page 1. “Gladstone Creamery closes doors May 31,” Gladstone Age, 5 June 1974, page 1. 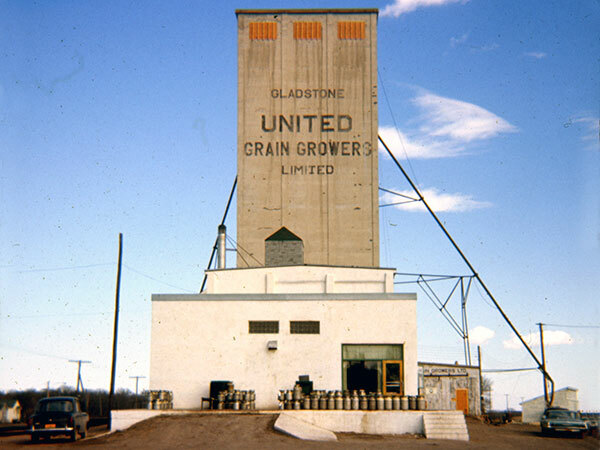 Gladstone, Box 59, MSS 76, United Grain Growers Fonds, University of Manitoba Archives & Special Collections. We thank Glenn Dickson, Mike Lisowski, and Kevin Mason for providing additional information used here.